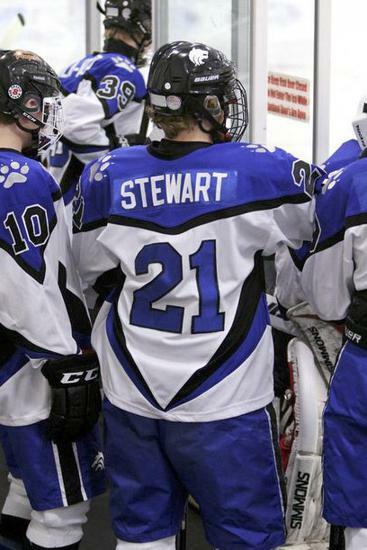 On Thursday, February 2, 2017 the Plano West Hockey Club honored the memory of Calvin Stewart by forever retiring his #21 jersey. Calvin was one of the most charismatic, respectful, and friendly players to ever wear a Wolves Jersey. He represented the Plano West Wolves for four seasons and will forever be missed. Plano West Hockey Starts Now! On the calendar page, subscribe to the RSS and iCal Feeds at the bottom of the page. The RSS feed will send any article updates to an RSS Reader (outlook, google reader, etc.) as they are posted. The iCal feed will automatically update your calendar in Outlook, your iPhone or Blackberry and many other calendar apps with PWHC calendar events. Help us keep you up to date with all the latest PWHC News and Events ! Founded in 1999, Plano West Hockey Club (PWHC) has a strong tradition of commitment to excellence from both our players and parent members. Our winning tradition is evidence of our program’s dedication to helping our athletes achieve their individual best as well as excellence at the team and organizational levels. Become A Sponsor of PWHC ! Help support Plano West Hockey Club through Corporate or Individual Sponsorships! Your tax-deductible donation helps Plano West Hockey Club keep our fees as low as possible which allows more kids to play the great game of hockey! Contact a board member to learn more. Plano West Hockey Club is a 501(c)(3) charitable organization committed to the promotion of youth hockey at Plano West High School. Donations are tax deductible and you will receive a donation summary for all of your donations to the club after the end of the calendar year. Plano West Hockey Club relies on donations to assist with expenses associated with the State Championship and National Championship tournaments. Donations also assist with financial aid for a number of families, additional sheets of ice for practice, instruction for players and league fees. We are very grateful for every donation we receive. Thank you very much for donating to Plano West Hockey Club.